Warning: Last items in ! 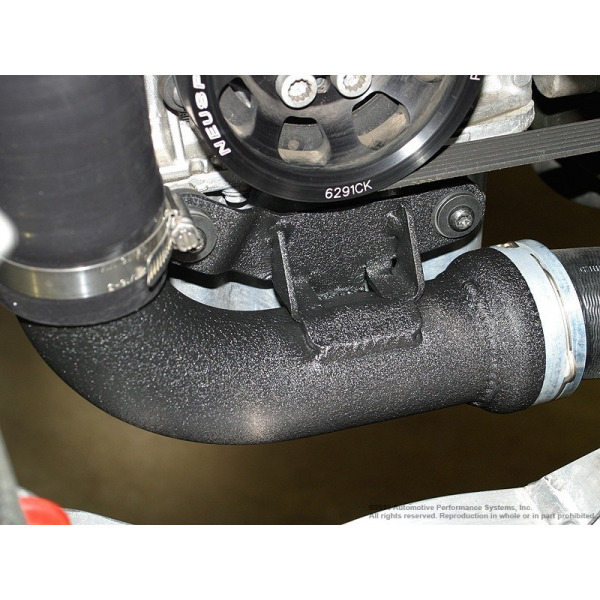 Another way to determine if this part is correct for your vehicle, you will need to look at your original discharge pipe. If the locking notches for the pipe's retaining clip are located at 12 o'clock and 6 o'clock positions, this is the correct part. If your OE pipe has retaining clip notches located at the 9 o'clock and 3 o'clock position, please use part number 48.02.67. Please contact us for additional assistance in determining the correct part for your specific vehicle. 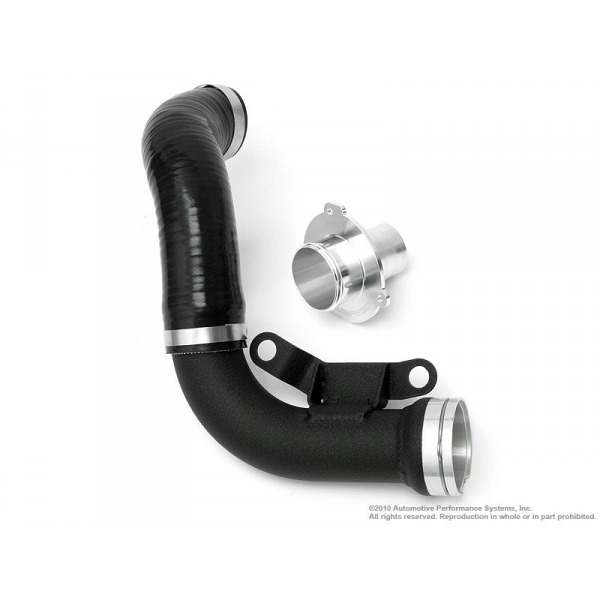 The Neuspeed Hi-Flow Turbo Discharge Conversion kit includes all the parts needed to remove serious restriction from the discharge side of the turbocharger. First, a newly machined billet aluminum discharge adapter reduces restriction with its smooth bore. Unlike its OE counterpart, the new adapter reduces turbulence and reversion. Attention to detail is Neuspeed forte, so take notice of the machined lip on the mounting flange that ensures leak free performance. Secondly, a new silicone hose is included to mate our new discharge adapter to the next and most important item in the kit, our modified OE discharge pipe. The OE discarge pipe starts off at 38mm inside diameter and gradually increases to 57mm inside diamter. Neuspeed cuts the original pipe at the point it reaches its maximum diameter and rolled a lip to make securing the silicone hose easy and trouble free. Consequently, all restrictions are removed with the kit's full diameter flow. All these benefits are attained with no modifications to the vehicle - this is a simple bolt-on part. 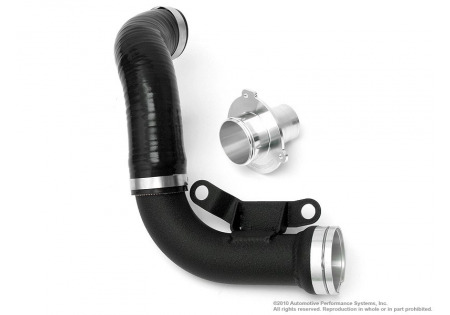 With this kit installed, you can expect better response with less turbo lag and more horsepower. Please make sure to fill out a review after you've installed the product. Your review should be your honest opinion, therefore, it can be positive or negative. We DO read your reviews, and relay infomation to manufacturers if a product needs to be changed or has issues. Please keep in mind that reviews that say "This is a nice product" don't help other customers understand why they should or should not buy the product. You must be logged in to post review. Very easy to install. The instruction were very helpul. © 2012-2019 Tuned Crew, LLC. All Rights Reserved.